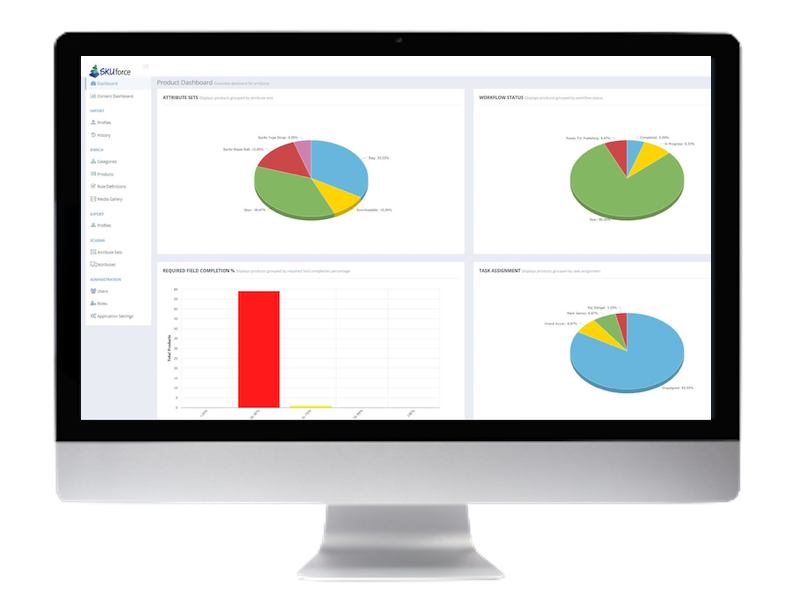 Meet SKUmagic, the best Catalog Diagnostics and Management solution for agencies. Unlike PIM systems you may be using or considering, SKUmagic is a analytics based, software-as-a-service solution requiring no software development or maintenance. This means you can focus on growing your business, and your client list, rather than running IT infrastructure and coding software. Grow your agency by becoming a more integrated and indispensable partner to your clients. Move from unpredictable fixed-price project and hourly task work to retainer-based relationships. Solve more problems for your clients, including product catalog issues that cause lost sales. Focus on creating value for clients, not supporting code. No expensive IT infrastructure investments required. You can leave anytime. No long-term contract. You decide what to charge your clients. Dedicated account manager for your agency. Support is available by phone, email or chat. Rebrandable interface, login screen, and more. Manage all your clients in one spot, and with one login. Secure custom access for each client and user.